↑ 1.0 1.1 Blake, Eric S; Kimberlain, Todd B; Berg, Robert J; Cangialosi, John P; Beven II, John L; National Hurricane Center (February 12, 2013). 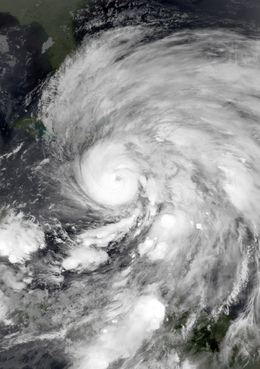 Hurricane Sandy: October 22 – 29, 2012 (PDF) (Tropical Cyclone Report). United States National Oceanic and Atmospheric Administration's National Weather Service. 原先內容歸檔 (PDF)睇2013年2月17號. 喺February 17, 2013搵到.